And Ranveer Singh wins NDTV Entertainer of the year award! There is something mesmerizing about Ranveer Singh isn’t it? Whatever he touches turns into gold. And no matter how hard you try, you cannot take your eyes off the handsome man! It is apt therefore that Ranveer Singh got yet another award. Ranveer Singh wins NDTV Entertainer of the Year has been trending since the show aired on television last night! But what caught our attention is this incredible dance Ranveer did with the 78-year old former Chief Minister of Jammu and Kashmir, Farooq Abdullah. Can you even decide who is a better dancer? And then Barkha Dutt really had to pull them apart and bring an end to the enthralling party! 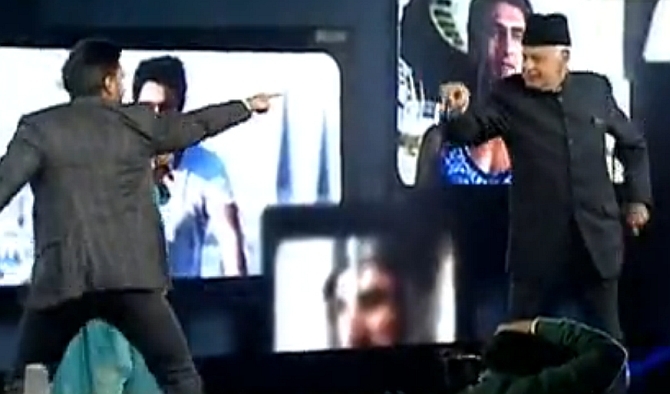 Ranveer tweeted that Mr. Abdullah is “too cool for school” and said he was way better than him. This has to be one of those coolest moments when films and politics got on stage and shook a leg. 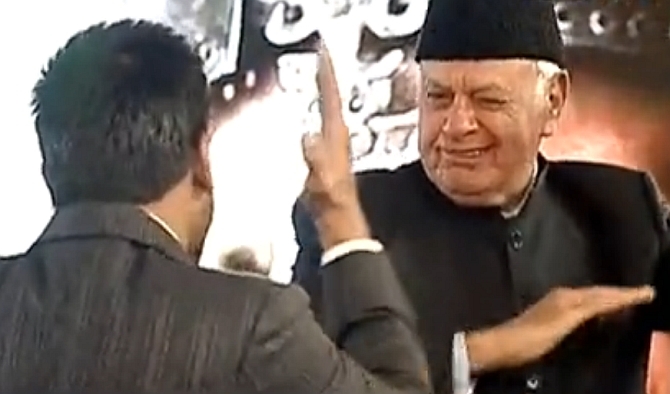 And if you thought Ranveer’s energy is unbeatable, look at Mr. Farooq Abdullah; you will know! Ranveer Singh wins NDTV Entertainer of the year is just so well deserved after looking at this video! He deserves every bit of it! Like he mentions in all of his interviews that he sees himself as “an entertainer” and that’s how he’d like to be! And if you think that Ranveer has not been crazy, experimental and typically like his “icon” Govinda when he dressed up for this event, you are so wrong! Look at his socks! Watch the incredible video of his dance here! More than Ranveer Singh NDTV wins Entertainer of the Year award what should trend is that Ranveer Singh stole our hearts yet again!